The Accord advantage over others in this popular midsize class is the luxurious comfort and exceptional efficiency and fun-to-drive dynamics. Honda’s offers the latest in advanced safety features, user friendly connectivity and overall value. Standard on all Accord models are Vehicle Stability Assist and rearview camera. Other advanced technology available include Forward Collision Warning, Lane Departure Warning and Honda Lane Watch which offers an enhanced view of passenger-side traffic. Ready to see the Accord Sedans available today at Patty Peck Honda? Check out our inventory below. Offering impressive fuel economy, a relaxing interior, and innovative technology features, the Accord is an ideal choice for those in the market for a sedan with a great track record. Last year’s model earned an IIHS 2013 Top Safety Pick+ award. The 2014 Accord is the recipient of many other awards as well. Honda is making a point that its vehicles are capable of being both powerful and fuel efficient, in addition to earning a 2013 IIHS Top Safety Pick+ recognition. For the 2014 model year, there’s impressive technology from bumper to bumper, with a bolder style than ever before. The ninth-generation Accord is Honda’s most luxurious Accord yet, while still retaining its hallmark value at our trusted Honda dealer serving Jackson. The 2014 Honda Accord has a refined style that finds the perfect balance of sporty and sophisticated for Jackson MS Honda shoppers. The new-for-2014 direct-injected 2.4-liter i-VTEC in-line 4-cylinder powerplant is the standard Accord engine, offering 185 horsepower and 181 lb-ft of torque. Or, opt for the 278 horsepower, 3.5-Liter, 24-Valve, SOHC i-VTEC® V6 engine that’s designed to deliver outstanding performance at any engine speed. Depending on driving conditions, the engine operates on three or all six cylinders to help boost fuel efficiency or power as needed. The Accord delivers by offering significant improvements to acceleration its mpg ratings. With either engine option, drivers will love the Accord’s ability to transition from having the power of a V6 with impressive fuel economy to an all-around master in efficiency. Honda’s innovative LaneWatch blind spot display returns for 2014. LaneWatch offers an intuitive blind spot display that provides unprecedented visibility. This technology lets drivers get an up-close view of any blind-spot traffic in the right-lane from a camera display on the navigation screen as the driver prepares to switch lanes. The Accord Sedan is available in LX, Sport, EX, EX-L, EX-L V6, and Touring trim levels. 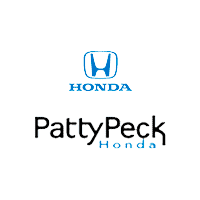 Jackson Honda shoppers can schedule a test-drive now from Patty Peck Honda, by calling 601-957-3400 or clicking the “Schedule testdrive” button below! 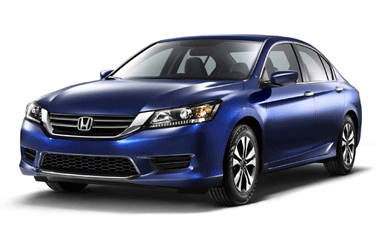 *2014 Honda Accord EPA rating: 24 city/34 highway/28 combined mpg rating for 4-cylinder Sedan 6MT models. 27 city/36 highway/30 combined mpg rating for Sedan CVT models. 26 city/34 highway/29 combined mpg rating for Sport Sedan CVT models. 21 city/34 highway/26 combined mpg rating for V-6 Sedan models. Based on 2014 EPA mileage ratings. Use for comparison purposes only. Your actual mileage will vary depending on how you drive and maintain your vehicle.